If you suffer from neck pain, it can be draining on your body and mind not only physically, but monetarily and emotionally as well. Seeking relief is a daunting task, and it can be an uphill battle to find relief. There are measures you can take from extreme medical (such as surgery), to holistic and wellness-centered (like massage, yoga, and acupuncture). A simple and perhaps surprising remedy, however, is changing your pillow. 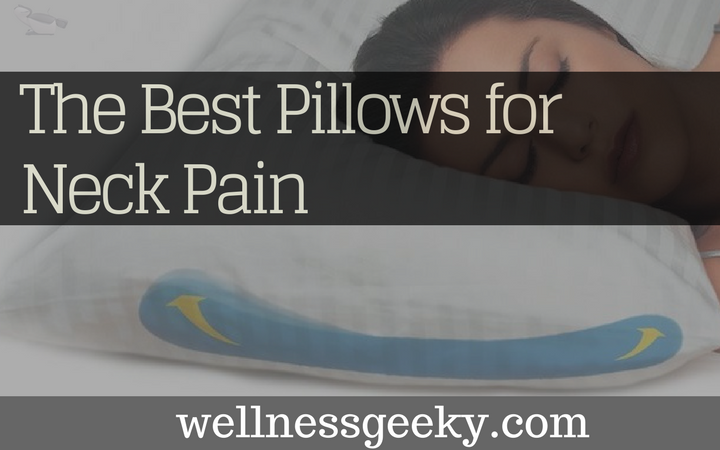 Whether you are a back, stomach, or side sleeper, there are pillows for neck and shoulder pain that we chose. John Hopkins University conducted a study for reducing neck pain while sleeping, and the Mediflow Waterbase ranked number one. This pillow is very versatile in that you choose the model to suit your preferences and the amount of support you like for your head and neck. All of the options come with their signature component, which is a water base. You fill the base water level to the amount that best supports the spine between the base of your head and top of your neck, and then choose from down, gel foam, or fiber for the filling. 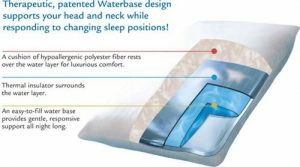 The water base provides a stable yet soft, comfortable cushion that supports your cervical spine and neck and allows the supportive ridge to move with you as you move around in your sleep. Tri-core cervical pillow for neck pain is a top-ranking orthopedic pillow that helps keep your spine aligned while you sleep, supporting your neck and relieving neck pain. They contain no latex and are made in the USA. There is a rolled edge supporting a cutout in the center that is shaped like a trapezoid. This design is effective in supporting the neck while cradling the head. Doctors and physical therapists sometimes recommend sleeping on a rolled-up towel or small blanket placed just under your neck until you find the right cervical pillow for just this reason. A ridge under the neck is the most ideal solution for treating neck pain and getting long-lasting results for correcting misaligned cervical spines. There are two options, depending on whether you sleep on your side or back. For side-sleepers, you can opt for the model that has taller lobes on the sides, which better help support the neck. Back sleepers will find the evenly filled lobes all the way around the trapezoid the most comfortable and effective. What happens when an ergonomic designer and a chiropractor put their minds together? The sleeping pillow by Therapeutica. At first glance, this won't look like any other pillow you've seen. It's made of foam and comes in five sizes, so you can be sure that you're getting the best fit for your head, neck, and shoulders. It's designed to work slightly differently depending on whether you sleep on your side or back. There is a deep cradle for your head in the center, so if you sleep on your back, you should center the pillow and rest your head in the cradle. The wedge on the bottom of the pillow supports the spine and neck, and the high sides ensure your shoulders are in the proper alignment with your neck. For those who sleep on their side, each side is designed with a slightly shallower cradle, so as you roll to either side, your head, neck, and spine are supported effectively and your shoulders are not forced against your neck. This bed pillow from MyPillow comes in different sizes, so you can pick the amount of loft that best suits your head, neck, and shoulders. This is designed to be therapeutic and ease neck and shoulder pain while keeping your spine supported in its natural position whether you sleep on your side, belly, or back. The proprietary material they use to fill each pillow has open cells that allow it to breathe, so you stay cool. It's also malleable yet stable enough so you can adjust it to your body specifically to fill the curves and support the areas that need it, and it never goes flat. There's a handy sizing guide that helps you select the proper size that will be right for you. The big difference between the memory foam pillow from Coop Home Goods and other pillows made from therapeutic foam is that the foam stuffing is shredded. The biggest advantage to this is that you can fill the pillow a little or as much as you want to make it just the right height for your head and neck. As a secondary bonus, the shreds allow for air to circulate throughout the pillow, making it breathable and cool. The cover is breathable as well (it's made from viscose rayon--a blend of bamboo and polyester) and is removable for easy washing. Not only can you adjust the loft with the amount of filling you add, if the pillow gets a little flat from using it for a while, you just have to put it in the dryer for a few minutes, and it fluffs back up. This is the best pillow for a belly sleeper, as there are no firm ridges or rolls, so you can adjust the height and shape to your comfort level, fit your neck and shoulder contours and support your spine, even as you sleep on your stomach. Like the shredded foam pillow from Coop Home Goods, the Xtreme Comfort pillow is adjustable in terms of loft. If the pillow is too high for your head or doesn't alleviate your neck discomfort, you can simply unzip the inner section and remove some of the fillings. 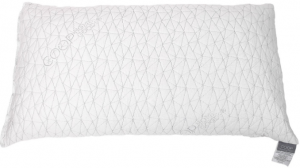 The shredded memory foam pillow filling maintains its shape over time and always returns to its state, even after months of use, so there's no need for re-fluffing. The memory foam shreds allow for the natural curve of your cervical spine to remain supported while you sleep. In addition to being effective for treating neck pain and supporting your spine and head, it's the best orthopedic shoulder pillow. So, if you suffer from shoulder pain as well, this is an effective orthopedic shoulder pillow. 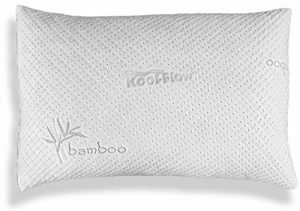 While recommended for those who sleep in any position, on their back, side, or stomach, most users who rate this pillow highly find it is the best pillow for a belly sleeper. Those who sleep on their backs or sides might still enjoy the versatility of this pillow, though many need more support under their necks, which is found in therapeutic pillows with ridged sides. When shopping for an orthopedic pillow, many users wonder about some common pillow recommendations. What is in a buckwheat pillow? A buckwheat pillow is filled with buckwheat hulls, which are naturally conforming, and dust mite-resistant. So, if you're wondering if there's a natural alternative to memory foam, buckwheat pillows are an option you should explore. What is the pancake pillow? The pancake pillow is a standard-sized pillow filled with several thinner pillows. The design allows you to fill the pillow with all of the other pillows so it's full, or remove as many as you need in order to find the most comfortable height. 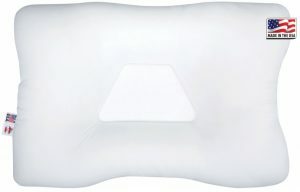 Many stomach sleepers enjoy this pillow, as they find it helps relieve neck strain while still supporting their heads. Whether you're a side, stomach, or back sleeper, if you suffer from neck or shoulder pain, there's an effective therapeutic pillow to suit your needs and provide much-needed relief. If you are searching for the best travel pillow, I can recommend Trtl Pillow or Travelrest. Before you spend countless hours and dollars seeking help elsewhere, you would be wise to try an orthopedic pillow. Designed to bring the relief you need for a very reasonable price, this is a good solution that delivers a lifetime of pain relief and restful nights.